Photographer: Nico. Model(s): Carola Remer. Source: Harper's Bazaar Spain. Makeup: (hair) Nicolas Jurnjack. 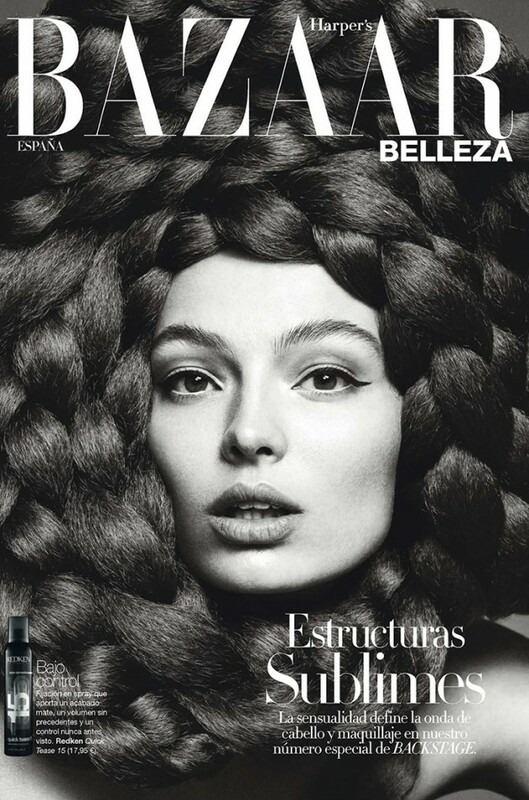 Wearing nothing but perfectly placed hair extensions, Carola Remer stuns in ‘Pump Up the Volume’ by Nico for Harper’s Bazaar Spain. Hairstylist, Nicolas Jurnjack, shows us how to get “great body,” in this erotically charged editorial that will have you rethinking the boundaries of modern beauty. Embracing Spring’s structural trend with passion, Jurnjack builds a series of haute hair looks, so spectacular, you could see them from space. 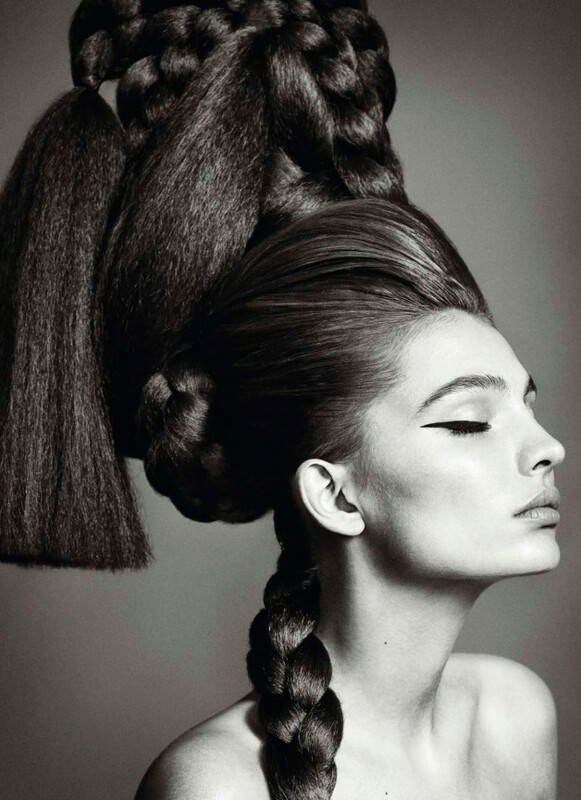 A tantalizing mix of teased tresses, these big, bold blocks of bouffants & braids seem to defy the laws of gravity. Teetering under a molded mound of coiffed couture, Remer rocks these fashionable follicles with a raw gusto. Celebrating the season of the silhouette, these explosive avant-garde styles redefine the shape of the future.